The Utility Tool UTK0107 Kephart Classic is a modern take on a timeless classic, retaining the classic shape and proportions of the original Kephart knife while at the same time incorporating modern design features and accessories. 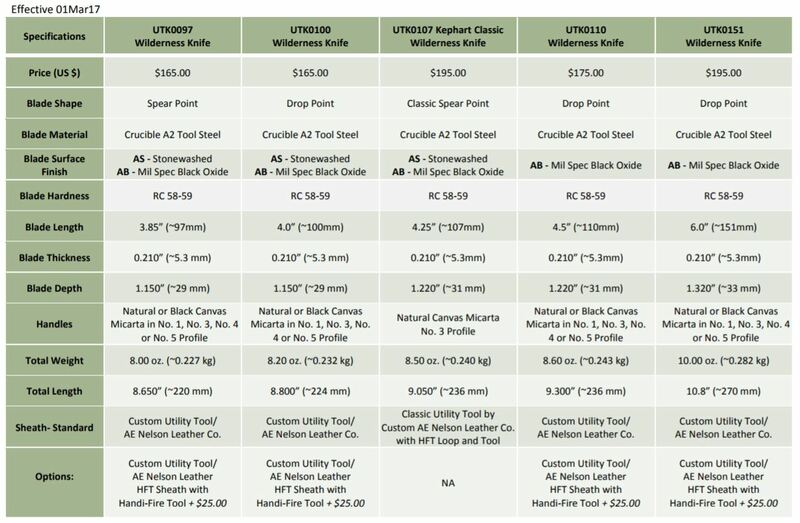 The UTK0107 is the production version of the Kephart prototype from 2014. The result is a Wilderness knife with a 4.25” spear point blade from Crucible A2 Tool Steel and a Number 3 profile handle machined from Norplex Natural Canvas Micarta. The spine on the blade incorporates the same “KS Edge” (as with the rest of the Wilderness Knives) and is keen enough to strike sparks from Handi-Fire Tool or to use in the field as needed as a scraping tool. The handle encloses the full tang isolating the users hand from the blade while in use. The Classic ambidextrous sheath was developed in cooperation with the AE Nelson Leather Company. This timeless design draws much influence from sheaths popular at the turn of the 20th century while including a ferro rod loop to carry the included Utility Tool Handy-Fire Tool (HFT). 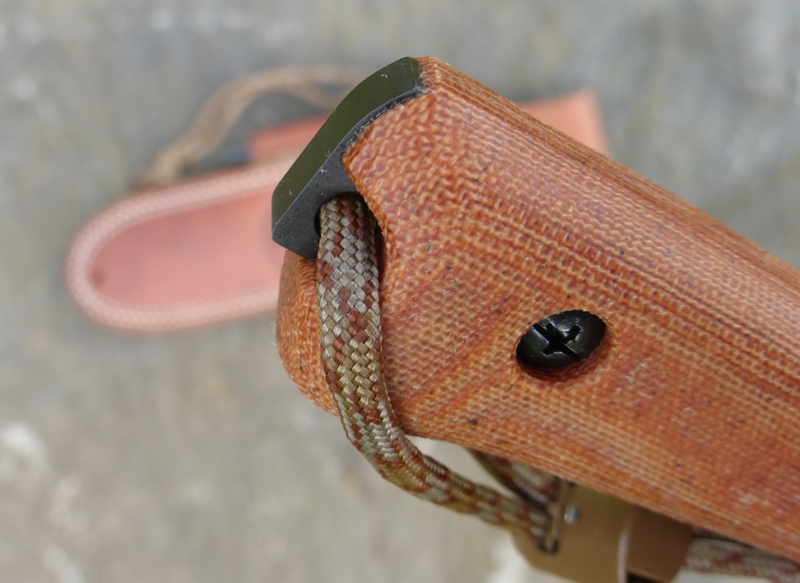 The HFT includes a cord loc integrated with the Micarta handle that allows it to be securely retained in the sheath loop while at the same time being easily accessible. 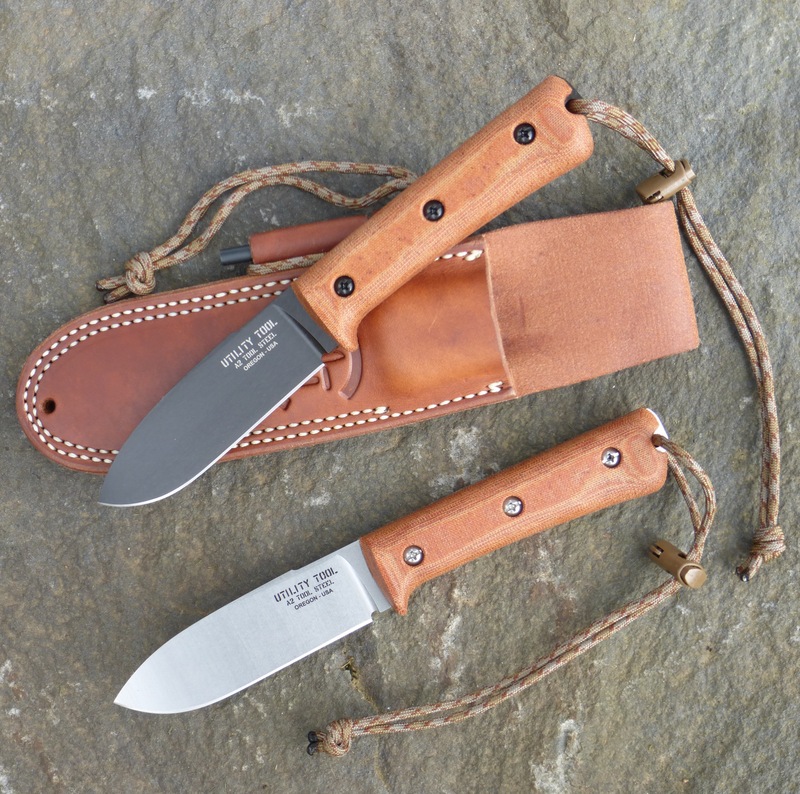 UTK0107 Kephart Classic Wilderness Knives in Black Oxide and Stone Washed finishes. 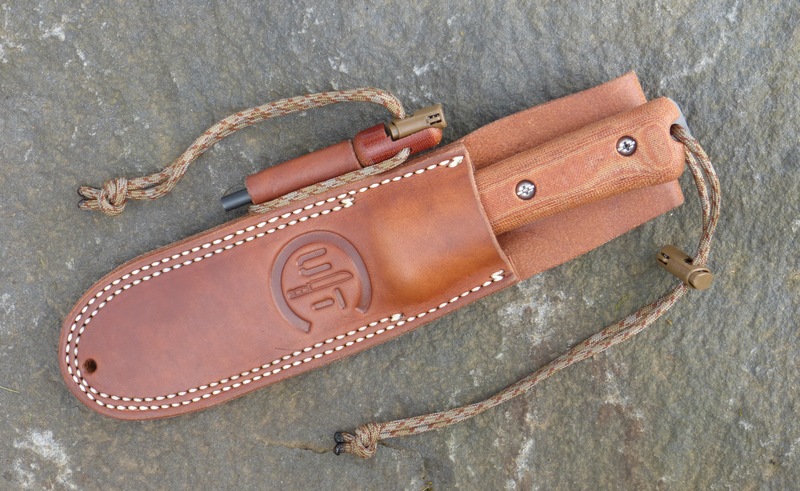 Utility Tool – AE Nelson Classic Leather sheath with Handi-Fire Tool loop and Handi-Fire Tool. 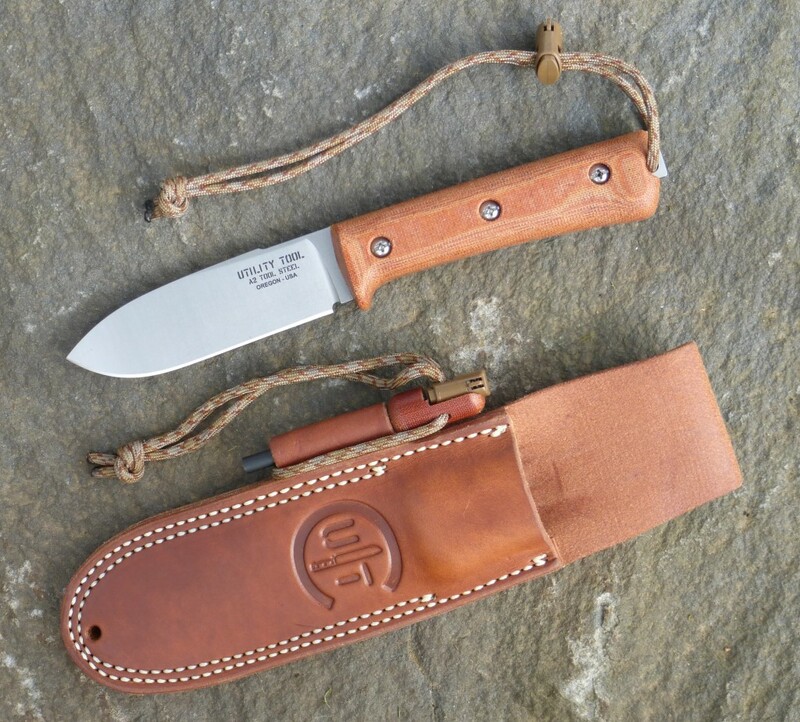 Shown with UTK0107 Kephart Classic Wilderness Knife inserted in sheath in right hand carry position. 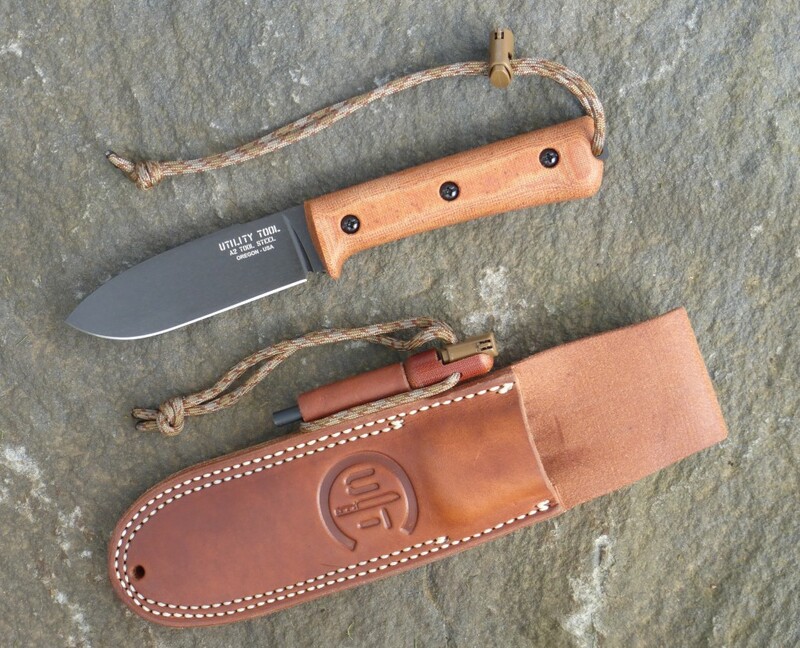 UTK0107 Kephart Classic in Black Oxide with Classic leather sheath and Handi-Fire Tool. 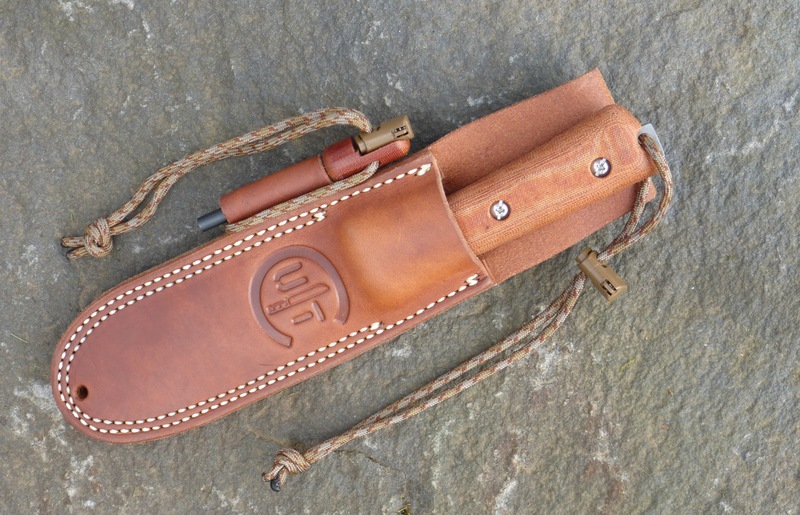 UTK0107 Kephart Classic in Stone Washed finish with Classic leather sheath and Handi-Fire Tool. 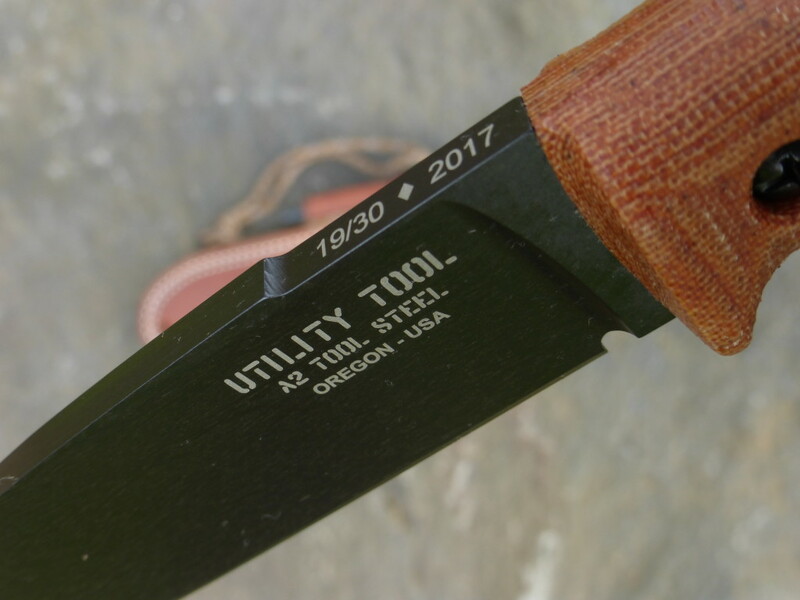 Marking detail on the blade and spine of the UTK0107 Kephart Classic Wilderness Knife. 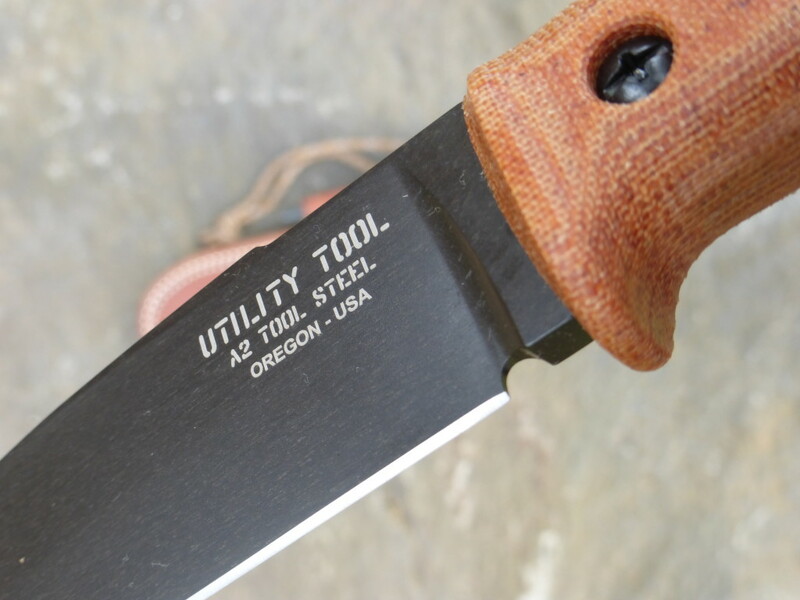 Blade choil and ricasso detail on the blade of the UTK0107 Kephart Classic Wilderness Knife. Pommel detail on the tang of the UTK0107 Kephart Classic Wilderness Knife. UTK0107 Kephart Classic Wilderness Knife markings and sheath detail.